I made falafels from scratch, for the first time. I used chickpea flour, because that’s what I had on hand. And I didn’t have parsley, so I substituted cilantro. They were easy-peasy to make–no harder than making them from a mix. I’ll be making these frequently! 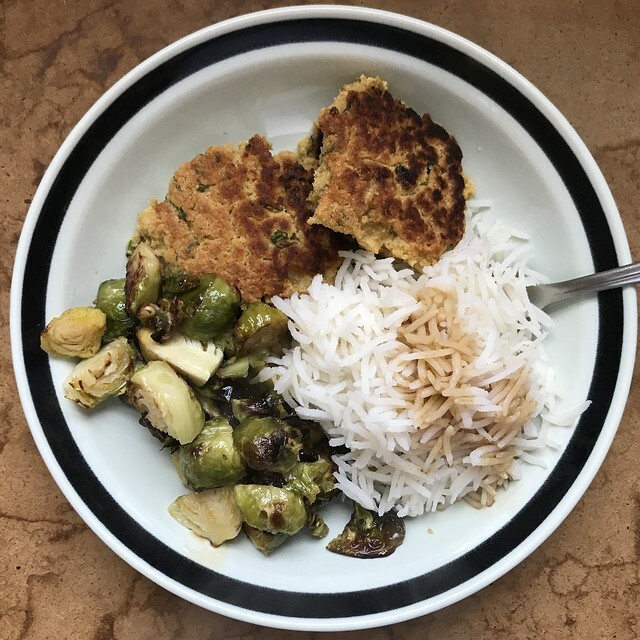 I had them with sauteed brussels sprouts and basmati rice with tamari.